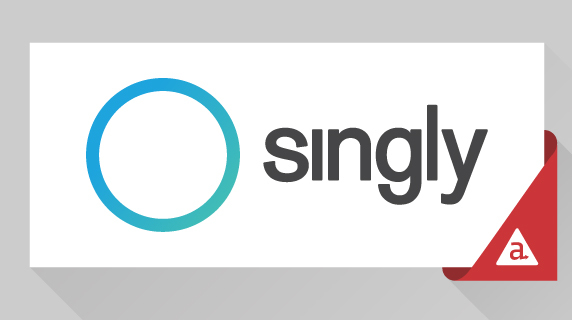 Q. Let’s start with an easy one: Who’s the team behind Singly? A. The team you want when it comes to building scalable cloud system and APIs. They’re world-class and that’s no exaggeration. One of the co-founders, Jeremie Miller, is best known as the inventor of the widely-used Jabber/XMPP open source protocols for instant messaging. Jeremie and a number of now-Singly folks worked to make that happen. If you’ve ever sent an instant message, chances are your message was helped along by software these folks built. The Singly team understands the challenges in moving data in a scalable way across the Internet like few others. And because of their expertise, they know how to make the job of working with data through APIs very easy for developers. Q: “API integration management” is a mouthful. What exactly does that mean, and what does it have to do with Appcelerator’s mission? A: Simply put, APIs are the lifeblood of mobility. They’re the means by which developers and enterprises get access to the data and services needed to build amazing apps. Q: Yes, right. I read the press release. A little more color would be helpful. A: All right. Just as there’s been an explosion in the number of devices apps now need to run on, we’re seeing an equivalent expansion in the number of data sources that feed these apps. This includes not only traditional backend enterprise data, but also SaaS-based information, social data and so on. The question is: how do I simply and elegantly connect my apps to those data sources without a lot of complicated hand-coding? And remember, the old ways of traditional middleware and SOAP protocols are a pain, because they’re pre-mobile. They assume a PC with a web browser, connected over high bandwidth. So the data payloads are too big and they’re in the wrong format, and there’s no coverage for mobile-specific use cases like synchronization, offline access, end-user device security, access control, rate limiting, and so on. Our own Appcelerator Cloud Services (ACS) go a long ways in solving this, but Singly takes us even further. They really have mastered data portability for mobile. Their DataFabric product normalizes data on behalf of the apps it serves, acting as an abstraction layer for a bunch of public APIs like LinkedIn, Yammer, PayPal, DropBox, Google Calendar, and so on. This means developers are shielded from having to adjust their apps every time something changes in one of these underlying APIs. Singly also has a great palette of pre-built API integrations, and will soon release an SDK so developers can easily develop their own. All of this means a dramatic reduction in the time, complexity and cost of connecting mobile apps to both public and private services and data sources. Q: So for developers this means…? A: There’s this funny misconception that developers just love writing code. But developers are essentially creative: what they really love is to create great app experiences. Code is just their medium. And sometimes, as in the case of getting connection to backend systems, it’s a necessary evil they’d be happy to do less of. That’s what Singly gives us: an even richer way for developers to get out of the weeds, and back to the fun of creating great apps. Q: What about for enterprise customers? A: Same as the above, but with the added headache of cracking open their own legacy systems so mobile apps can use it. While there’s been a big movement among social and consumer companies to publish APIs for developers to build around, most enterprises are just now waking up to the possibilities. Of course traditional IT has invested millions in building out middleware and SOA infrastructures, and now along comes mobile with a whole new set of needs. Such is life in technology. The good news is that the faster IT can mobilize the data sources, the faster the whole enterprise will see a big uplift in its mobile innovation. All kinds of folks – both inside and outside the enterprise – will start accessing those APIs to do amazing things for the business. With Singly, we help to put IT back in the innovation driver seat, making it much easier to open up backend systems and so accelerating the mobile transformation. Q: How soon can we expect integration of Singly capabilities into the Appcelerator product line? A: Early next year. Sooner if I can get my way, but let’s stick to under-promising and over-delivering. For now, the Singly APIs are available in current form at singly.com. Q: The whole product line? Titanium and the Appcelerator Platform? A: Absolutely. Not identical capabilities in each of course, but yes. There’s more than enough Singly power to go around.